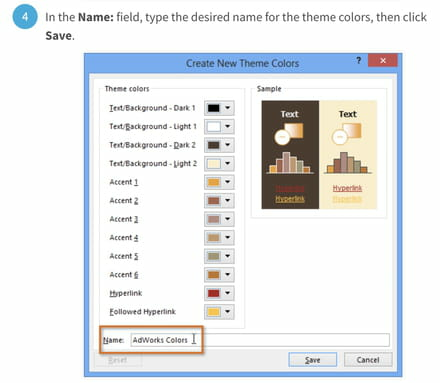 Does anyone know how to create an additional colour pallet in PowerPoint? 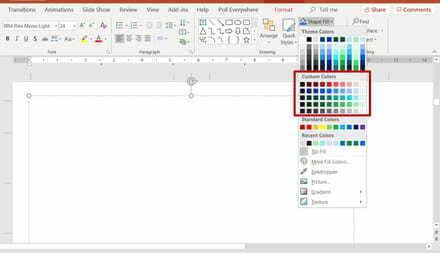 One of my clients has given me a template to modify and I've noticed that when I go to change font or shape colour, underneath the 'Theme' colour pallet, there is another colour pallet labelled 'Custom'. Does anyone have any idea how to 1) create it and 2) change it once created? I can't attached a screenshot but can email one over? I have contacted Microsoft ppt support and they don't know! They are looking into it, hopefully they will work it out but in the meantime, I thought I would ask. Is it what your looking for? Hi thanks for coming back to me. I'm not sure to be honest. I've tried theme colours, in Design settings but it doesn't seem to work. Can you see this screengrab? It shows what I mean. Don't you have a design tab/menu? yes I do but when I update the colours here, they change in the 'theme' colours palette. I don't get a secondary palette. Yes I do this when setting up templates in the slide master, where I create my colour palette. Did you see the screen shot I sent? 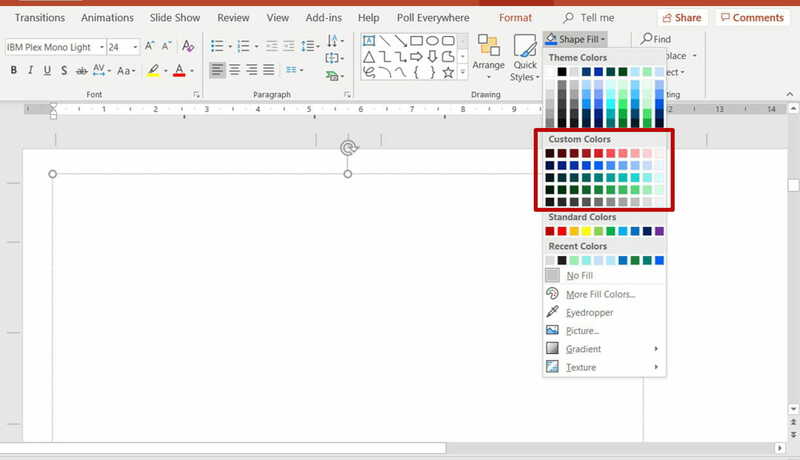 Have you ever see this, or set up 2 colour pallets before? If so can you tell me how you did it? If not, don't worry about it, I will wait for Microsoft to come back to me tomorrow.